Well, we are all dressed in our Christmas shirts and in front of our lovely Christmas tree for our first official 2012 Christmas photo. We just wanted to share this blessed time of year with each and every one of you. You are receiving this Christmas picture because you have participated in some important way to help the Lord transform Sonshine Hacienda from a dream into a reality! Some of you are prayer warriors, others donors, others hands on volunteers. Some of you do it all. We just wanted to thank you all so much for your loving support. God has blessed us richly through your loving support and friendship. It is hard to believe that we received our first children just 7 short months ago (May 5th). We thank our Lord each time we receive a call that we are going to receive yet another two or three children. It is always with joy in our hearts that we open the door to these new children. As Alvaro says (with a smile on his face), "after all, that is our job, isn't it?". 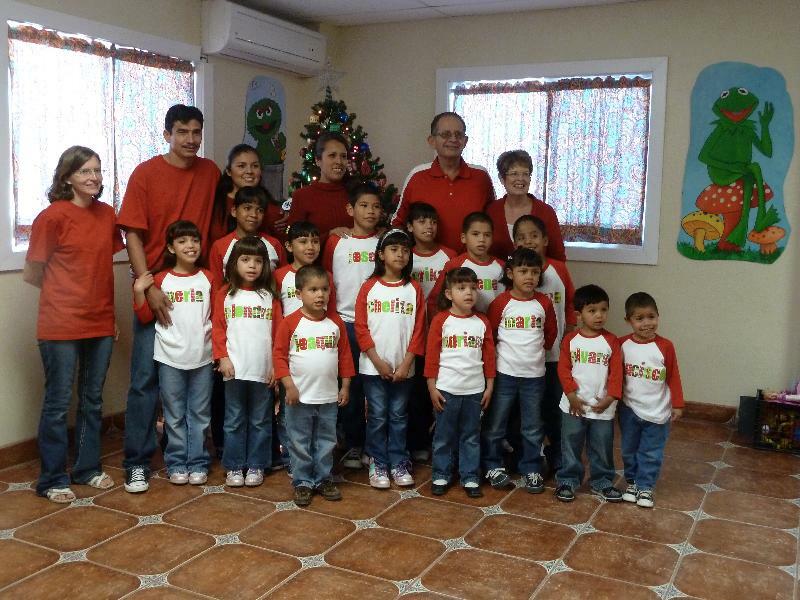 We praise the Lord for each and every one of you that support Sonshine Hacienda. You are a blessing to each of these children. You are helping to change lives with the Lord's help. God bless each of you this Christmas season. We hope that you have a blessed and special Christmas.